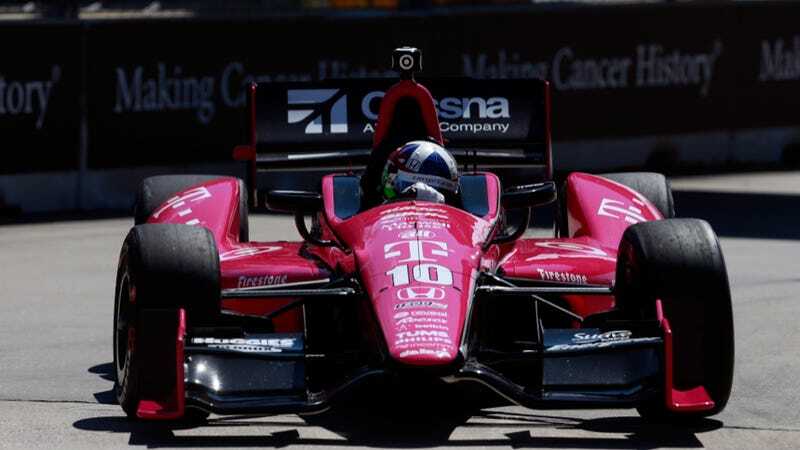 Three time Indy 500 champion and four time IndyCar champion Dario Franchitti will not race anymore after his crash at the Houston Grand Prix. The risk of future injury is just too high. Since my racing accident in Houston, I have been in the expert care of some of the leading doctors and nurses, all of whom have made my health, my safety and my recovery their top priority. I am eternally grateful for the medical care I have received over the last several weeks. I'd also like to thank my family and friends for their unbelievable support. One month removed from the crash and based upon the expert advice of the doctors who have treated and assessed my head and spinal injuries post accident, it is their best medical opinion that I must stop racing. They have made it very clear that the risks involved in further racing are too great and could be detrimental to my long term well-being. Based on this medical advice, I have no choice but to stop. I'm surprised, but not shocked. Dario's injuries in Houston weren't life threatening, but he's relatively older than many in the IndyCar field. While he'll heal up fine from these injuries, the long term risks of more injuries could impact him heavily down the line. This also opens up one of the most sought after seats in the entire IndyCar paddock. Who will Chip Ganassi hire?